The Tampa Bay area contains an outstanding assortment of agencies, universities, and organizations that are devoted to sea turtle protection and research. In fact, St. Petersburg’s Bayboro Harbor Scientific Research District is the largest marine science community in the southeastern United States. 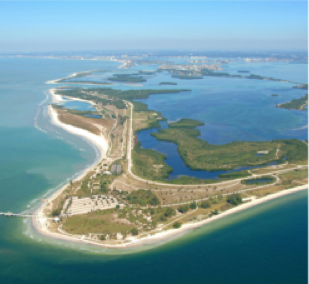 The bay itself is Florida’s largest open-water estuary, encompassing almost 400 square miles at high tides. Numerous groups protective of sea turtles are based in the Tampa Bay area, home to loggerheads, green turtles, and leatherbacks, which commonly nest along the region’s coastline. ·The USF College of Marine Science focuses on the scholarship of marine science study at the graduate level. ·The Tampa Bay Estuary Program stands to develop and coordinate a long-term plan to continually restore and advance the ecological state of Tampa Bay. ·NOAA—National Marine Fisheries Service manages responsible stewardship of marine life and habitats for protection and conservation in federal waters. ·IOI—International Ocean Institute is a non-governmental organization and a recognized consultant at the United Nations that disseminates information, provides education, and builds community initiatives for the sustainable use of oceanographic resources across the globe. ·The Florida Fish and Wildlife Conservation Commission assesses and restores ecosystems, investigating scientific information to analyze research products. The commission also leads the Statewide Nesting Beach Survey to record sea turtle nesting along Florida’s 820-mile coastline. ·USGS—United States Geological Survey researches geology, aquatic cartography, ocean biology, and hydrology while evaluating hazards of the area’s marine and costal environments. ·FIO—Florida Institute of Oceanography works to create a forum for the shared utilization of ocean science education and research programs across the state. ·The Pier Aquarium has welcomed over four million guests in its twenty-five years of operation, winning awards such as the 2001 Gulf Guardian Award from the United States Protection Agency.